When Lindam created their Bounce About Challenge, Dylan was first to put his hand up and volunteer. He has always loved being on his feet and the bouncer, designed to sit in a doorway would be perfect for him to stretch his legs. not to bounce in a bouncer! 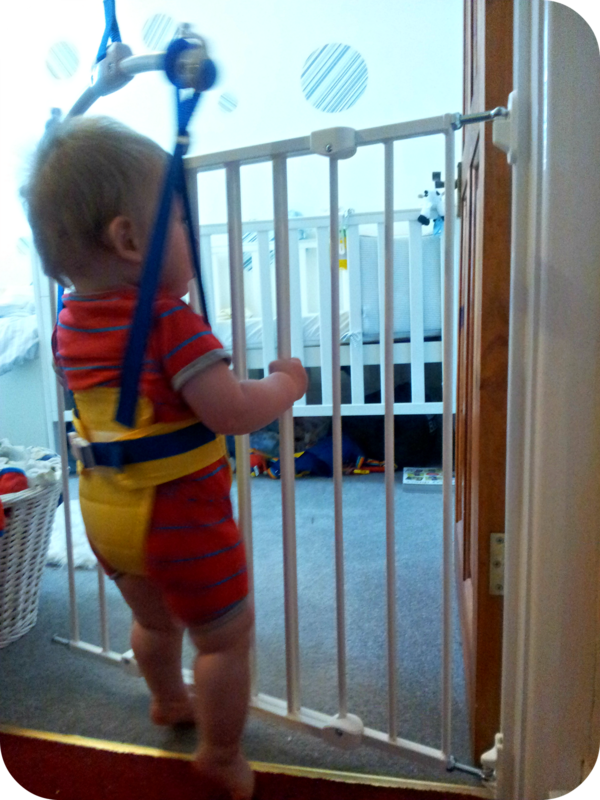 We would really recommend the bouncer for a baby who likes being stood up. They are really practical and I used the time to put away washing or do some washing up as he stood and watched me. 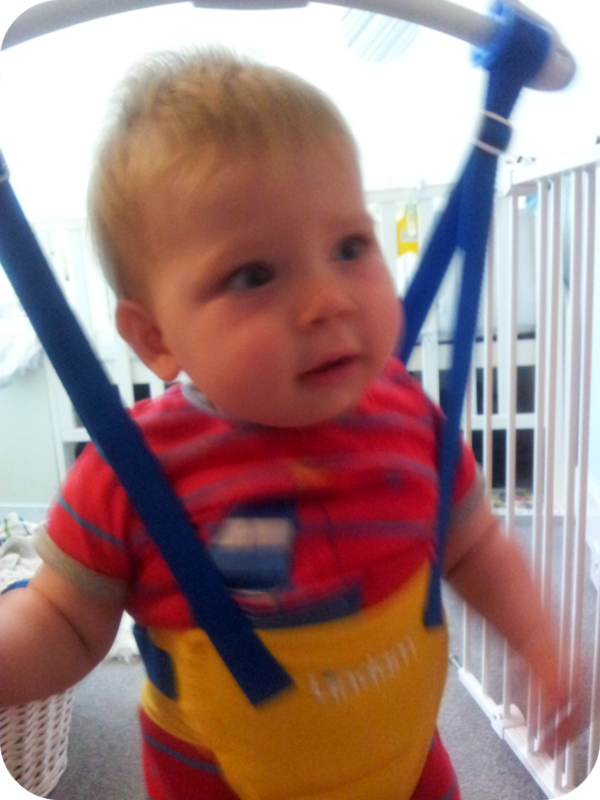 The only downside was that the weight limit for the bouncer is 12kg. 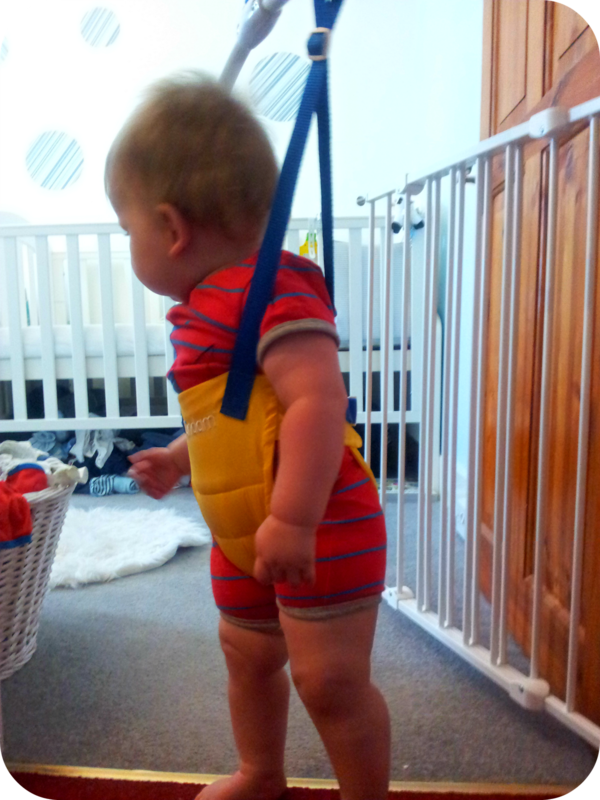 For any 'normal' child this would not be a problem but my rather chunky monkey is slightly over 12kg at 11 months so the bouncer has come to the end of it's journey for us. As you can see his head is also rather close to the top bar. We loved the bright colours though and it felt secure on the door frame and around the baby. 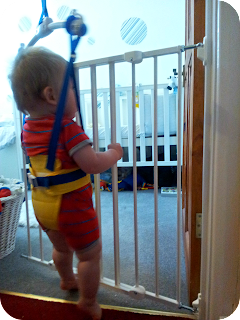 So much handier than free standing bouncer,this one is compact when not in use and very easy to store which is perfect in our house. The bouncer retails for around £19.99 and is available from Argos. It is machine washable (perfect for messy babies!) 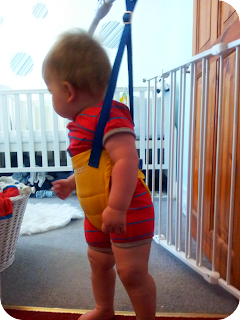 and suitable up to 12kg for a baby that can support its head unaided. Do your little ones like to bounce? Did you have a door bouncer for them? Disclaimer: We were sent the door bouncer for the purpose of this challenge but all thoughts, words and pictures are my own.